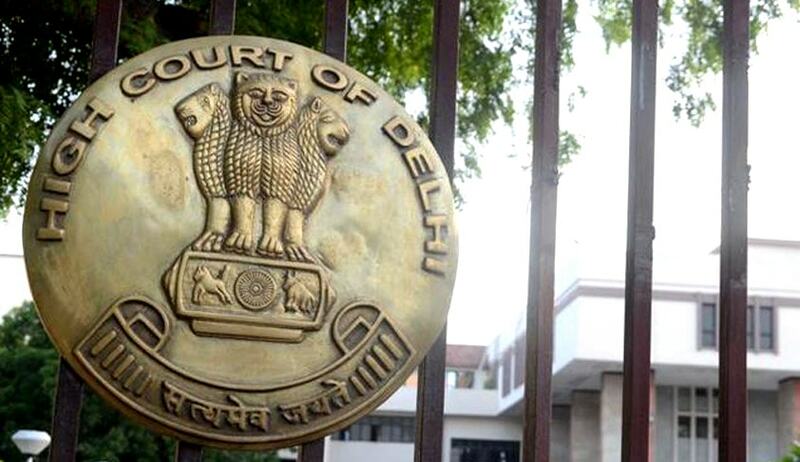 Delhi High Court has slammed the Central Government for filing Writ Petition against the Order of Central Information Commission (CIC) directing the Government to upload all the latest amended bare Acts and to examine the functionality of its e-mail ID and develop an appropriate RTI filing mechanism. Justice Manmohan also directed that the costs of Rs.10,000/- which was directed to be paid by the Government, should be recovered from the salary of the Government officials who authorized the filing of the present writ petition. Central Information Commission by its order dated 4.11.2015 held that the State has a duty to inform citizens about the Law as and when it was made and the citizens also have right to know of the Law. This observation by the commission was made by Information commissioner Prof. M. Sridhar Acharyulu (Madabhushi Sridhar), in a complaint filed by a law student from National Law School of India University, Bangalore. The CIC had also directed the petitioner to pay Rs.10,000/- under Section 19(8)(b) of the RTI Act to the library of National Law School of India University, Bengaluru. The Complainant, Vansh Sharad Gupta, had filed this RTI application through e-mail, originally to know the e-mail ID of CPIO, Legislative department. Having received no information within the prescribed period, complainant filed his first appeal through e-mail. Claiming non furnishing of information, complainant approached the Commission. The Law student wanted to study Indian Christian Marriage Act, 1972 from the website, but he couldn’t. Though he could find the Bare Act from, it was impossible to read as that PDF of Bare Act was not at all formatted. He contended that as a student of law, for his course work he required to refer to several Bare Acts to ascertain the correct position of law, but website is not in position to help the students of law in any way. He appealed to provide such Bare Acts in a readable PDF format. It was in this context he wanted access to email ID of CPIO of the legislative department. The Commission directed the Legislative Department to inform the complainant and the Commission as to what action has been taken including details of the programme of updation, the possible date of its completion, expenditure involved, personnel employed etc. The Commission also recommended the department to recognise urgency and significance of the issue, expedite the process, allocate more fund to employ more personnel and complete the process of updation as soon as possible. It also directed the authority to examine the functionality of the email ID in view of the Complainant’s claim that most of the email ID have failed. The Legislative Department also should have perfect RTI filing system and answer mechanism. The authority was also called upon to pay Rs.10,000/-) as a token compensation to the library of the National Law School of India University, Bangaluru, for causing loss of time of several law students, more specifically of the appellant, not providing easy access to email, or not making email ids easily available, delaying the information etc, within one month. The Commission asked the respondent authority to explain the measures that they have taken in this regard, within one month. In the writ petition, it has been averred that the respondent never filed an RTI application in the prescribed form and the requisite fee. It is also stated that the respondent did not file the first appeal and hence the second appeal could not have been entertained by the CIC. “This Court is not an appellate Court of the CIC. Technical and procedural arguments cannot be allowed to come in the way of substantial justice. The directions given by the CIC in the impugned order are not only fair and reasonable but also promote the concept of rule of law. It is unfortunate that the petitioner did not take the initiative on its own to upload the latest amended bare Acts. Public can be expected to follow the law only if law is easily accessible ‘at the click of a button’. In fact, as rightly pointed out by the CIC, the RTI Act itself mandates the Government to place the texts of enactments in public domain. This Court also take judicial notice of the fact that in challenging the imposition of costs of Rs.10,000/-, the Government of India would have spent more money in filing the present writ petition. Consequently, this Court is of the view that the costs of Rs.10,000/- which was directed to be paid by the CIC, should be recovered from the salary of the Government officials who authorized the filing of the present writ petition.